The usually traffic snarling roads in Delhi were empty on Monday. The odd people in the cricket loving country were wondering for the reasons. Few minutes close to 9 p.m there were bright fireworks on the capital’s dark sky. It was accompanied by rhythmic beatings of dhoolaks matched by bhangara and all forms of body movements. Chake de india! was the common greetings doing the rounds with a lavish distribution of sweets. The occasion was not to celebrate diwali or to welcome the Lord. Ram’s army home but to enjoy the triumph of Dhoni’s men in the first ever twenty 20 world cup. The fairytale final against its archrival Pakistan was bone chilling. Winning the toss, Mahendra Singh Dhoni decided to bat according to the pre-decided script. The start was shaky. The sudden replacement for Virender Shewag – Yusuf Pathan was unable to run promptly between the wickets. Pakistani fielders were quick to throw the ball at the stumps immediately after it was hit. Million hearts got broken till the screen boarded displayed “not out”. The loud cheering sound of 32,000 spectators in Johannesburg must have tensioned Yusuf who was playing for the first time in an international match. Then he recovered from the initial moments of pressure and nervousness. He hit the ball for a six and announced his entry with a big bang. Unfortunately he could not stay for a long time. After scoring fifteen runs in eight balls, Pathan exited. Robin Uthappa, Yuvaraj Singh and the Captain Dhoni followed his way. Gautam Gambhir in association with Rohit Sharma pushed the total of the Indian team to a decent number. In the final count, India scored 157 for 5 at the rate of 7.85 per over. Umar Gul bowled in a disciplined way for Pakistan claiming three wickets in four overs giving twenty eight runs. It was a reachable target for the determined Pakistan team with full of young energy and combating skills. Rudra Pratap Singh opened the Indian bowling attack. To everyone’s expectations he struck in the very first over to claim Mohammed Hafeez’s wicket. Hafeez returned to pavilion after Robin Uthappa caught him brilliantly. Soon, Kamran Akmal was bowled out by R.P.Singh. The run making of Pakistan team was slow and the wicket loss was fast. Shoaib Malik the Captain and Shahid Afridi the expected performers disappointed after falling quickly to the Indian attack. Younis Khan and Mishab-ul-Haq redeemed the lost hope of their team. Both of them stabilized and started giving jitters to the men in blue. In the seventeenth over, Mishab hit three sixes consequectively off the Harbhajan’s over. The tables were turned towards Pakistani side. Dhoni signaled Harbhajan to bowl off side and at the edge of the crease. This sudden diversion of concentration gave Pakistan 30 crucial runs. The final over was due. Joginder Sharma was getting to ready to decide the fate of the match. A wide and a six narrowed down the victory target of Pakistan. The third ball was bowled with all hope lost. The lady luck suddenly turned towards the Indian side and landed the ball into the hands of Sreesanth. Billion people jumped over to celebrate the victory of the Indian team. It was 24 years after the win in the prudential cup, india won the first ever Twenty 20 world cup on 24th September. Is 24 a just number coincidence or numerological victory? Whatever may be the argument, the cricket lovers of the subcontinent are completely overjoyed. Thanks to the Dhoni’s army for giving a billion population a reason to be happy. Yuvaraj Singh has become synonymous with sixers. He hit the longest six of 119 metres against the mighty Australians in the ongoing Twenty 20 tournament. The semi final was a magical treat for the cricket watchers. The huge presence of Indians in the gallery doubled up the spirit of Yuvaraj and his teammates. Of course that also put them in tremendous pressure. But Dhoni’s men were carefree and unleashed their skills without any frills attached to their cricketing abilities. Most of the Indian supporters belong to the Diasporic community in South Africa. A country known for the large scale presence of Indians, South African fields resembled home ground for the men in blue. Despite hurting his elbow, Yuvaraj got into the field with the willow. The starting was as per the calculations of Dhoni’s team India. First the toss turned to India’s side. But the run making was a bit slow. It seems that the team decided not to lose quick wickets while trying to score big initially. The slow and steady approach was adopted to stabilize the order. After estimating the pace of Australians, they went on for a rampage. A decent score was made when Virendar Sehwag and Gautam Gambhir were sent to the pavilion. Now the turn of Sixer raj in Durban arrived. Yuvaraj swash buckled sixes all over. He hit fours in the same fashion but rarely he ran for singles. It was the Indian tricolor fluttering all over the mammoth stadium. The meager presence of Australian flags was submerged by thousands of tricolurs. Audience was awe-struck. They saw Yuvaraj coming, hitting and reaching half a century in minutes. In an eye-blinking moment Yuvaraj crossed his fifty. In the line of Indian firing the Kangaroos were clueless. They bowed down to the new found master cricket men from India. For the second consequective match Yuvraj had exhibited his gladiatorial skills. Every one was wondering where was this six hitting skils all these years? Why Yuvaraj failed to show it on the ground? Nevertheless the Indian cricket lovers are happy to embrace their new hero. Now the bar is high for Yuvaraj. His willow needs to swing the ball to sixes otherwise the audience will be disappointed. As the team for the tournament without any bigger expectations the performance has scintillated the nation. Even if they failed to win the world cup they will be lifted and celebrated as the heroes. The killer instinct, worriless gaming, cool handling and giving fitting action replies to the critics proved the younger team very tough. The Indian cricket team is on the overhaul. After the resignation of Rahul Dravid as the team India’s captain, the BCCI was put under tremendous pressure to choose the right man to lead the demoralized team. At this crisis hour of Indian cricket, the nation needs a player with high class maturity and toughness to handle various adversities to triumph on fields. 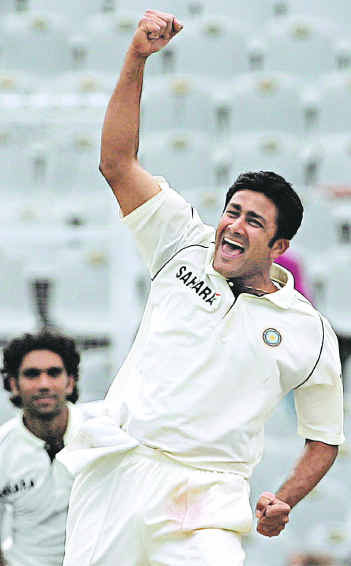 Anil Kumble the veteran cricketer who never hogged limelight or the media ignored hero can be the best bet. Apart from Kumble’s professional qualities he can manage the many troubling sides of the Indian cricket very well. Although Kumble announced his retirement fromODIs, he can be pursued to take up the challenge. The choice of Mahendra Singh Dhoni may not redeem the lost prestige of the team. He will also follow the troubled path of his predecessors – Sachin, Saurav and Rahul. Why suddenly the gentle star put down his papers? Rahul Dravid citied his personal underperformance as the reason for resignation. Of course this is valid cause of concern. Not only to the player but also to the team and the country. As there is no suitable alternative to take the command of the toughest cricket team, the BCCI was put in a state of total confusion. The timing of the Rahul’s step down had sent shock waves across the country. In fact it told that he wanted to announce this during the launching session of IPCL (Indian Professional Cricket League). When he whispered his decision to Shrad Pawar before taking the mike, the politician president of BCCI was clean bowled. Quickly he recovered from the dosra which Rahul bowled, Pawar requested him not to announce at that moment. The clever move to counter ICL (Indian Cricket League) will be lost if Rahul’s resignation takes the centre stage. It will also lead to commoner’s wrong perception about Pawar’s leadership. Bowing down to the President’s request, Rahul postponed his resignation announcement. But after few days of the gala launch of IPCL, Rahul spelled his disastrous decision through press to the public. People started thinking about the political interferences as the sole cause for the exit of a brilliant player as the captain. Why the talented and tough cricketer Rahul failed to win India matches? Generally captaining the Indian team is not easy. Apart from the sound cricketing qualities one has to master many talents to discharge the duty as the captain of Indian cricket. Navigating through the troubled political waters of BCCI, managing the media, overcoming the audience pressure, meeting the off field expectations, harmonizing the team members, exhibiting professional abilities and taking quick decisions on field are the major essential factors. The first three reasons can be dangerous for the Indian captain to handle. Sachin Tendulkar, Saurav Ganguly and Rahul Dravid, the brilliant players of our time have failed to produce remarkable victories for the nation. Despite holding envious personal records all the three players failed miserably. Saurav Ganguly is better among the all three. To save the Indian cricket from further decline, one has to consider these professional and sociological matters before going into the issue of captaincy. Unless this is done neither Mahendra Singh Dhoni nor god sent player can win cricket matches for India. Today the Indian cricket is controlled by full time politicians. They are giving constant headaches to the players and audience. Their involvement in the cricket management reduces the effect of the game. How can a powerful and significant union cabinet minister can allocate time judiciously to the game and his ministerial duty? The portfolio of the BCCI president as minister is very vital. Agriculture is the backbone of the country. Due to the irregular management of ministry, cricket of the country suffers and the improper lead of the cricket damaged the agriculture. His involvements in both the important fields have reduced two important areas of the nation to mockery. Cricket is not only a serious game but it is also a national passion. The eleven on the field are playing over the millions of fans aspirations. Only professional and full time board administrators can save the Indian cricket. Those who have long standing experience and bitter and better taste of the country’s cricket should lead the team management. Sunil Gavaskar can be the good choice. Apart from the Office of Profit a separate rule should be formed to prevent politicians occupying professional posts. This will automatically change the contours of Indian cricket. Many times the schedule of the Indian team is too tough. Without a gap the players are compelled to play. There should be an adequate time gap between one tour and the another. This will give them ample time to improve physical fitness and health standards. Frequent foreign trips too put them in trouble. Once these issues are addressed the Indian team will be victorious wherever it goes. There is no lack of talents but the unprofessional management of the team is the prime reason for its downfall. A passionate team management can pull the boys in blue to perform. The sooner it is done the better the team and the nation’s official religion. Rahul Dravid sounded so confident before boarding the flight to Caribbean. Many cricket fans thought that this year there is bright chances for the men in blue. The same feeling was given by Pakistani captain Inzmamul Haque. Although his side is handicapped by the absence of popular players, Haque promised to lift the cup. The arch rivals of cricket from south Asia entered the far land to bring home the glittering world cup 2007. If the starting is the sample to be taken for the efficiency of India and Pakistan then there is nothing left out except total disappointment. Pakistan’s early surrender to Ireland and India’s clowny play with Bangla Desh does not board well for both the teams. The major blunder is complete underestimation of the rival teams. There is very few in the cricketing world estimated that Ireland and Bangla Desh will triumph. Even their own countrymen did not pose hope in them. With all the pressure and no confidence in the tiny teams building up, it is to their credit a thorough professional game was given by Ireland and Bangla Desh. After winning the toss, India elected to bat in the hope to score tons of runs. There is no fault in this decision. It is common to opt for batting with the weaker side in the opposition. But the crime is casual play and complete underestimation of the bowlers and fielders. The veterans as usual ditched the team and disoriented the million fans back home. Virendra Sehwag, Sachin Tendulkar, Rahul Dravid, Mahinder Dhoni all fell so quickly. The consolation was Saurav Ganguly and Yuvaraj Singh. The prince of Kolkata was disciplined by the decision of the board to chuck him out of the team. After he was thrown out of the team, even advertisers pull him out of all the deals. Saurav got frustrated and decided to concrete more in cricket. Above all the solid support of his fans from Bengal and around the country helped him to get back to cricket. Now he got the concentration in cricket than advertisement, money and merry making. The same punishment should be given to all others who are too much in modelling than cricketing. It is humanely impossible for them to concentrate in ten fields. More importantly the coach should be changed and powerful Indian cricketers like Kapil Dev or Gavaskar should be opted instead of foreigners. This will save alot of money and embrassment for BCCI. Lastly but not leastly the entire BCCI should be professionalised. Now it is a completely politicised body with ministers and MPs occupy the powerful positions. How is it possible for the ailing Sharad Pawar to manage the crucial agriculture portfoli, BCCI, his party – NCP and tens of other departments? It is high time the Govrnment of India takes a bold decision to get rid of politicians from the management of sports. The reformation of the Indian cricket is long overdue. The earlier it is done the better for the country. This is not just a sport but it is a national passion where million of the citizens mortgage their time and soul to see India win the cup. Whereas the cricket dons spend more time in modelling, T.V interviews and merry making. It is high time they are trimmed and disciplined to save the nation from disgrace on the ground.